5 Piece anodised alumium flag pole set with re-inforced bottom section, for the Swooper flag. Super Seller 3 piece aluminium pole set. The pole set is 3.5m tall with a 750mm top arm. Suitable for the Super Seller vertical flags. 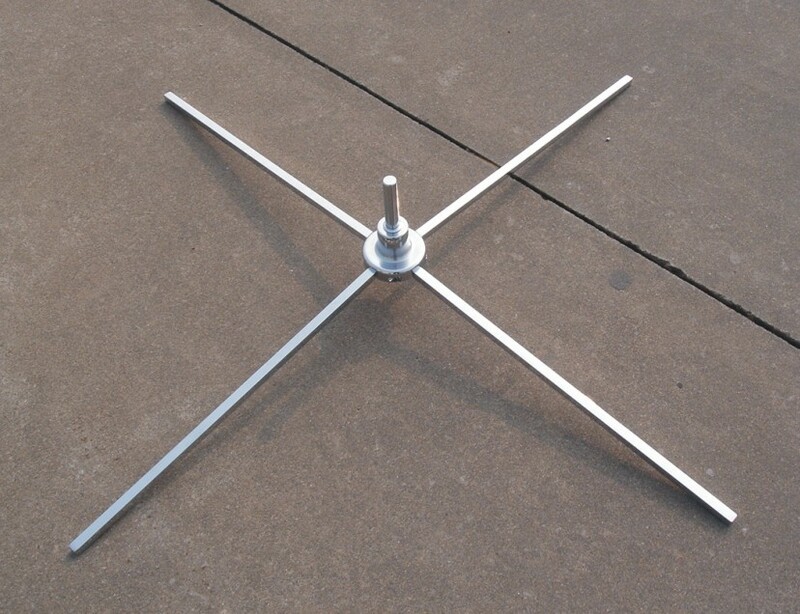 Steel cross base for pole set, 480mm legs for a large stable surface to support your flag. Incorporating ball bearing for swivel, ensuring your flag flys well with the breeze and can turn freely. The base folds up for compact storage and transportation. General purpose wheel base that suits all flag poles, other than Bali flag poles. Great for car yards, real estate open homes and even parked at the front of your business. No need to move the car to move your flag. Steel with powder coated finish, 500x700mm. Chrome spindle for easy rotation of your flags. General Purpose (Tyre) Base - Heavy Duty to withstand high winds. The tyre mount is made of steel boxed sections. 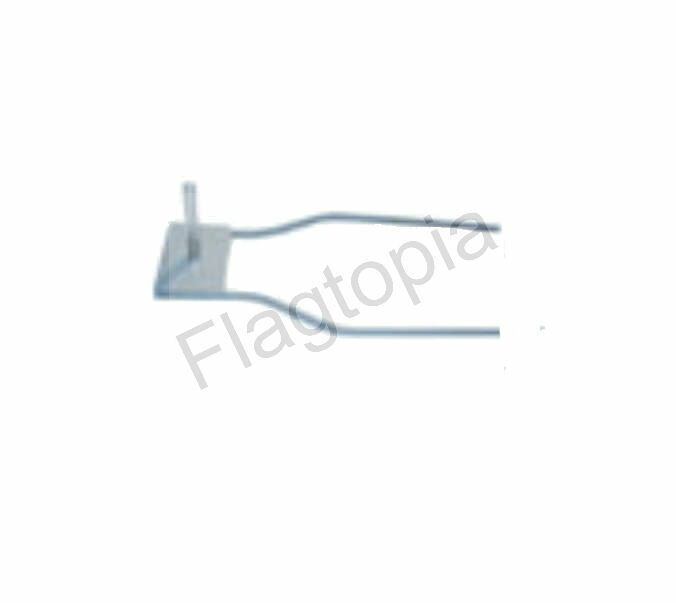 Staff Holder - Angled - for mounting your flag pole securely on an angle to either a post, fence or building. Mount your flag up high to really attract attention. 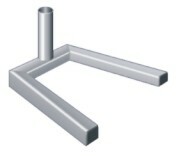 Staff Holder - Straight - for mounting your flag pole securely, vertrically, to either a post, fence or building. Mount your flag up high to really attract attention. 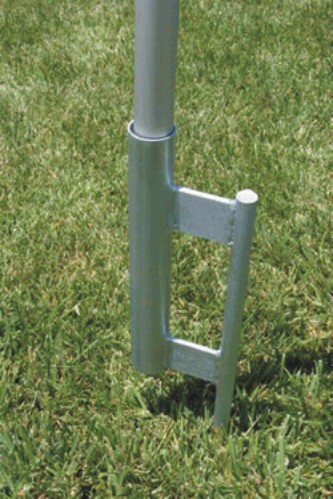 Ground spike to support your flag pole. Suits Swooper and Super Seller pole sets. For use in lawn, sand or any other soft ground. 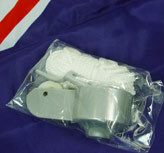 Towbar Mount from The Aussie Flag Factory for displaying your flag at the rear of a vehicle. Very handy for real estate agents and car dealerships. You can move the flag easily, without having to move the vehicle. For permanent mountings of windsocks on steel or other poles, the Stainless Steel Tanglefree Pivot is a robust and secure way to attach your windsock for display. The pivot consists of a 40cm fibreglass arm secured to a stainless steel pivot and pre-drilled mounting plate, ready for screwing or bolting to pole. This Untapered Flag Pole is made of durable and maintenance-free aluminium . It is perfect for your garden, your business premises, exhibition centers or any public places. This flag pole is durable and can withstand strong winds. It uses external halyard system to houses the flag by rotating the finial. Some minor assembly is required before use. All flagpoles are supplied complete with finial, cleat and chord and comes with BONUS budget 5x3' Australian Flag!